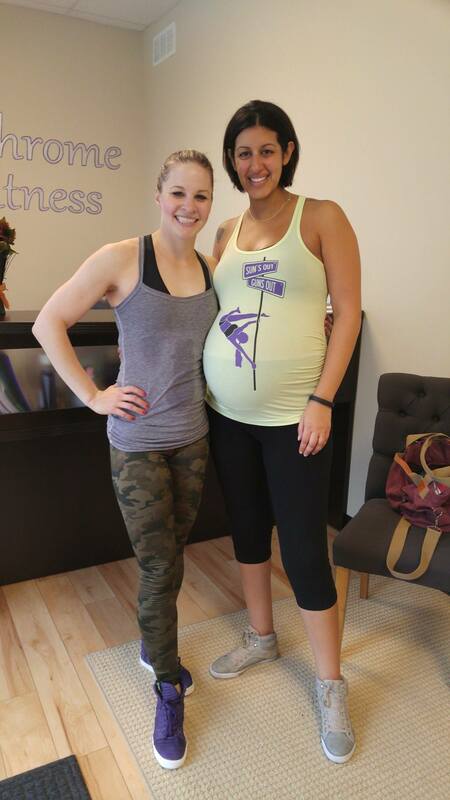 Chrome Fitness owner Marcy Kerr-Lemus and patron Mary Michail pose after classes at Chrome Fitness on Mary’s due date. Mary completed Chrome Con and Zumba classes that day. Her son, Augustine, was born 10 days later. With all the opinions from doctors, friends, relatives and strangers about exercising while pregnant, it’s hard to know what’s really right for mom-to-be and her baby. But research has shown that, in most cases, she can confidently tune out the naysayers and head on in to the gym. According to the American College of Sports Medicine’s Guidelines for Exercise Testing and Prescription, regular exercise during pregnancy provides health/fitness benefits to the mother and child. It may also reduce the risk of developing conditions associated with pregnancy such a pregnancy-induced and gestational diabetes mellitus. 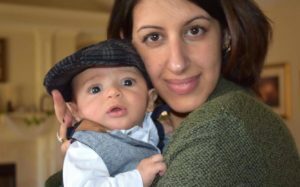 Mary Michail, Chrome Fitness patron for two years, is one new mom who listened to her body rather than the fear-inducing opinions about exercising while she was pregnant. She said it felt really great to be lifting weights and getting stronger in a world where people scold pregnant ladies if they so much as pick anything up. Mary loved attending a class at Chrome Fitness called Chrome Con while pregnant — a one-hour conditioning class of strength training done at your own pace. She knew pregnancy would cause her to carry a lot of extra body weight that her body wasn’t used to, and the stronger she was, the easier pregnancy and labor would be. It’d be really easy for pregnant women to listen to the advice of ‘take it easy and don’t do much,’ especially when energy is low and she isn’t feeling great to begin with. But, with a doctor’s permission, if a mom stays active during her pregnancy, the benefits are innumerable. “There were days when I was too sick to work out, and that was OK, but forcing myself to go back, no matter how comfy my couch was, was the best thing for me,” Mary said. Mary Michail snuggles her now nine-month-old son, Augustine. 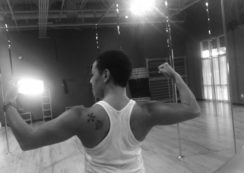 Mary contributes her healthy pregnancy, delivery and recovery to weightlifting at Chrome Fitness while she was pregnant. Every checkup, Mary consulted with her doctor about her exercise program to make sure her weightlifting amounts, intensity and positioning while lifting were all approved. Marcy Kerr-Lemus, Chrome Fitness owner and Chrome Con instructor, also modified the exercises for Mary’s needs. Mary challenged herself, and she’s so glad she did. As her body changed during pregnancy, Mary’s continued fitness journey gave her something to be proud of — that is, besides growing her little human. Please note – it is important to consult with your physician to determine if exercise during pregnancy is right for you, as there can be contraindications in some pregnancies. A Home Pole: Should You or Shouldn’t You?